Image Quality Labs has a state of the art testing facility to assist you with your camera testing needs to assure image quality with unbiased 3rd-party benchmarking and testing. 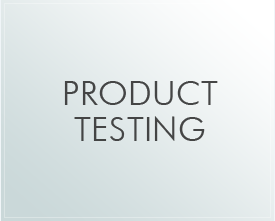 Our product testing procedures offers objective and subjective measurements of how well an imaging system performs across a variety of standard image quality metrics, which can be used to compare imaging systems and components. Image Quality Labs offers independent assessment of digital imaging systems, using industry standard analysis and metrics while also providing subjective assessments, to deliver comprehensive detailed product benchmark and comparison reports. Image Quality Labs uses Imatest, the world’s leading software package for testing digital image quality, to produce report data and results as Imatest is already used by thousands of companies worldwide. Product testing data from suppliers is often measured using different lighting equipment, charts, methods, and algorithms, making it extremely difficult to compare image quality and performance across your supply chain. By having Image Quality Labs as a testing partner, the measurement process can be controlled and allow accurate comparisons of supplier products. Unbiased, third-party testing delivers objective and subjective image quality analysis that lends legitimacy to test results. Extra testing capacity can be used to augment existing staff. Companies making use of Image Quality Labs are better positioned to deliver products that meet/exceed buyer and supplier standards and metrics because thousands of companies already use Imatest to measure image quality. As use of Imatest continues to expand, your buyers and suppliers will increasingly prefer to communicate test results in terms of Imatest metrics.